The Seven Wonders of the Weald are a collection of very special places to visit in the gorgeous setting of West Kent. Evenly spread across the borough of Tunbridge Wells and dispersed across Kent, the Seven Wonders offers parks, historic houses, National Trust gardens and so much more. This year join the Hussey family children for the Cadbury Easter Egg Hunt at Scotney Castle. The Hussey children kept diaries detailing their adventures and fun they had on the grounds during the 19th century, and the egg hunt follows in their footsteps. Follow the network of paths around the gardens, find the nests and collect the clues in order to answer the final challenge … and collect your Cadbury Easter prize! The Easter egg hunt takes place between 6 April to 22 April, 10am to 4pm, and costs £3 plus normal admission. A wildly entertaining adventure for the whole family! 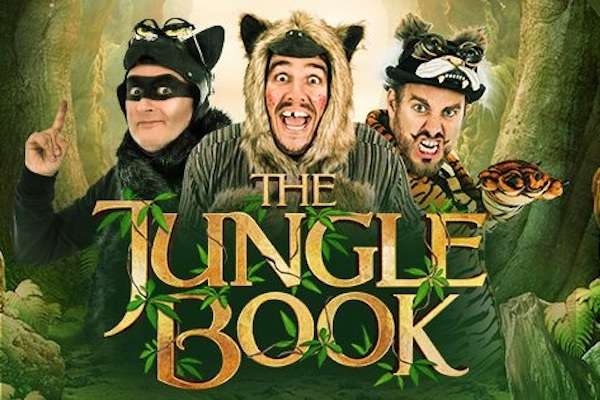 From the producers of the smash hit UK tour of Alice in Wonderland, Wicked Productions present a hilarious family production of The Jungle Book. Promising brand-new songs, creative staging and bags full of fun, this Easter you’re invited to bring your cheeky little monkeys to laugh like a pack of hyenas when The Jungle Book swings into town. Jungle Book runs from 19 April to 21 April, and tickets cost £19.25. 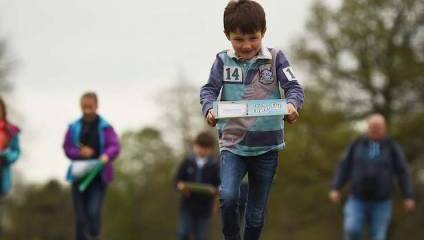 At Knole, join the bird hunt for Cadbury’s Easter Egg Hunt. Follow the trail of wooden bird boxes, count the eggs inside or complete the challenge questions inside in order to claim your chocolate Easter egg at the end. Don’t forget your wellies for this outdoor adventure! This one takes place from 6 April to 22 April, 11am to 3pm, and costs £3 plus normal admission. LEGO® 'Civilisations' is a touring show with 40 stunning LEGO models demonstrating a range of civilisations throughout history, including life-size human figures made from crazy amounts of LEGO. The lifelike appearance of the figures in colour costumes and intriguing poses will create real wow factor whilst being education and informative. From 6 April to 22 April, this exhibition is free if you have a K&ESR TravelCard ticket or you can buy tickets here. Open tours at Biddenden Vineyard are the perfect introduction to their wines, ciders and juices. The morning tour will last an hour, journeying through the vines, into the winery and then to the vineyard shop for the all-important tastings. Tours run every Saturday at 10.30am from April to September, tickets are £10 and pre-booking is essential. Head to Chiddinstone Castle to try your luck at the Funny Bunny Easter Hunt across the castle grounds. A clue sheet will be available at the front desk for just £2 and go find those bunnies. Whilst you’re there have a look around the castle and the museum collections. The Easter Bunny Hunt runs from 14 April to 17 April, and the 21 April to 24 April. Want to celebrate the UK’s favourite native flower? Then keep an eye out for Hole Park Garden’s Bluebell Festival. A spectacular display of beautiful bluebells is known to spring through April and May, and visitors can enjoy this amazing display while taking the circular woodland walk around the garden. 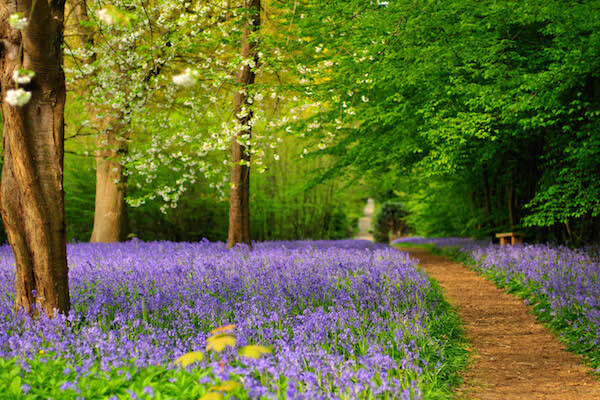 This Bluebell Spectacular runs from 15 April to 10 May, and admission is at regular Hole Park Garden prices. To find out more about Easter events and how to buy an annual pass visit the Seven Wonders site.